I just came across my pics I took on hooping back in September of 2008. Of course this is how I hoop, but everyone is different! 1) I measure my shirt armpit seam to armpit seam to find the center of the shirt. You’ll find that the distance is usually a good even amount – 12″, or 10 1/5″, etc. I use an air erasable pen to mark my center, then turn the shirt inside out. 2) I cut my stabilizer (I use a medium cutaway on my t-shirts – it works best for me). I’ve actually been using precut squares from http://www.sewingmachine.com/ which are GREAT for my 4×4 hoop! I use a little bit of Sulky spray adhesive (KK2000 temporary adhesive spray). I usually spray the stabilizer inside a little cardboard box instead of on top of my shirt as pictured. The box catches a lot of the sticky ~ however this is a pretty light spray (but adhesive WILL accumulate after lots and lots of embroidery). As you can see the stabilizer is “stuck” in place, so when I turn my shirt right side out it stays in place for hooping! 3) I lay the bottom of my hoop inside the shirt. Again, as you can see the stabilizer is “stuck” to my shirt (top of shirt). Here is another picture. I’m ready to hoop! As you can see I am hooping this shirt with the hoop clamp coming through the neck of the shirt, therefore when I get my design on my embroidery machine I’ll rotate it to the left 90 degrees and it will sew sideways (my shirt will be sideways). 4) I eyeball my hoop for straightness. I’ve also hooped so much that I know just about exactly how tight my hoop screw needs to be. Your hoop should be JUST TIGHT ENOUGH to clamp on the shirt. Meaning… when your shirt is hooped, the shirt should be firm and there should be NO NEED to pull/tug on the shirt or tighten the hoop! If you hold the shirt up and the hoop looks crooked, just unhoop it and try again! I have to do this sometimes too! Here I am using my 4×4 hoop which hoops nice and easy! My 5×7 hoop is sometimes harder to get straight and firm so I use my 4×4 whenever possible! 5) Taa Daaa… My hooped shirt, and as you may see my center dot is centered pretty well in the hoop! It doesn’t have to be centered perfectly, but as close as you can get it so that your design will fit nicely! I know there are tons of people out there who use sticky stabilizer and don’t even hoop their shirts! I’ve just learned to hoop this way so it’s what works for me! I think that medium cutaway gives the shirt nice support, so that’s what I use! I mentioned in my earlier post that I prefer Heat N Bond Lite as my fusible product versus Wonder Under. Maybe I’ve had my iron setting too hot all this time, but I struggle with peeling the paper off of Wonder Under every time! HNB comes off very easily and you can see the clear layer of fusible “stuff”, which after it’s ironed fuses your applique to your shirt (when you’re finished w/ your applique). WU reminds me of ironing cob webs on to my fabric? Like I said, I’m probably doing it wrong but WU & I don’t get along too well! I’ve also gotten several comments about the “H” store and their lack of customer service! Bless those sweet ladies’ hearts that work there! Someone just needs to tell them that when there are 8 people standing in line for 15 minutes, mosey on over and open one of the other 2 registers! It’s that simple!! I would tell them myself, but the german lady scares me!! She scares me too! She is so loud!!! great demo with the hoop! do you somehow turn the design to sew up and down and not sideways?? I have spent a long time enjoying reading your blog……. (.can’t imagine how you have time to do this too). I live in Anniston and was a Phi Mu too…@ JSU. I also love Charleston and the market, I have ONE basket that was a gift! Nice gift, huh? Any way, what kind of machine do you have…or more than one? I have a Brother PR-650! This is so helpful….I brought my pr-650 home and i’m completely overwhelmed. “Rosie”…overwhelmes me. Quick Question. I can’t find anywhere in the book how to set up my needle number according to a design. Like if I was doing a simple flower and I have all my threads up on the rack (but out of order). How do I go and set up each needle I want for each stitch? BTW….this post was great. My friend talked me into the quick snap hoops and I almost threw them against the wall last night. I think someday I’ll use them a lot but there’s too many other things I need to learn before those. It’s like relearning hooping. I like hooping because I feel like my shirt and design are going nowhere. Love your posts and hope you had a wonderful mini vacation! Babies crying….Now Mommy Duty begins! How do you keep the back of the shirt from being sewn? I am fairly new to embroidery and have a single needle machine. I am having a hard time picturing the back of the shirt when it is hooped to the machine. Any help is appreciated!! You have to keep it all out of the way ~ turn it inside out, hold it, etc. Rosemary, do you turn your shirts inside out once they are hooped? I have the Babylock Enterprise. I bought the 9×9 frame, but I’m having a bit of trouble with it. I don’t think my machine likes it. UGH! Is that a multi needle machine? There is no 9×9 hoop for the 10 needle Enterprise. Any advice on trying to applique something that’s bigger than my 4×4 hoop? I have the brother se270-d and not sure if I can by a bigger hoop than the 4×4. You might have to stick w/ the 4x4s if that’s the only size hoop you have?? Okay thanks, I was just wanting to do kindergarten rocks for my neice but i think it will be too small in 4×4. Really need to save for a new machine but this one was free. Free is good! But, the 5×7 hoop makes a huge difference! I use iron on tearaway stabilizer and hoop w/ the 4×4 hoop! They are tricky b/c they are so small!! I will usually rip out the crotch… do my applique and then sew the crotch back. Just allows more room to spread out the fabric! Probably a stupid question… I just have a regular (and inexpensive) Brother sewing machine, but I wanted to start doing appliques and I love the way yours turn out. 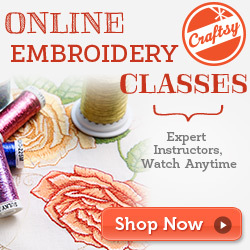 Can I use my machine or do I have to have an embroidery machine? I’m fairly new to sewing so I might need a Barney-style answer. 🙂 Thanks! 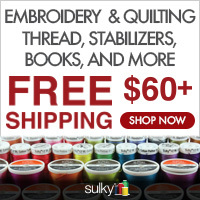 You’d need an embroidery machine – some sewing machines are sewing/embroidery combo! I needed this! I came to the EAC Conference and learned so much! Thanks for all you do! Is there anything I can use besides my fingers to hold the fabric back on tiny onesies while doing appliqués? I am using the 4×4 hoop and I have just caught the side of the onesie on top of the appliqué. Any help or advice appreciated. Tks! You can try to gather it and use a straight pen or some type of clamp? I know it’s a pain! I saw on another site someone using hair claw clips to hold the excess fabric out of the way. Clips like these: http://www.walmart.com/ip/Scunci-Effortless-Beauty-Hair-Clips-3-ct/12443715 . Smaller than these for baby onesies. Haven’t tried it yet, but seems like a good idea. Yes those look like they would work! If it’s too thick to pin it, then it might be too thick to embroider?? If you could get at least a couple of straight pens through to keep it in place (bend them if necessary). If it’s that thick though, you might experience broken thread throughout the process!? Just a thought! I have been embroiderying for about 8 years now and have 2 machines, both Husqvarna. My first machine was a Platinum Plus and now I have the Ruby. I’m considering buying a 6 needle machine b/c my hobby turn business has grown beyond my wildest imagination. I notice you use the Brother PR650. Because I have always had Husqvarna machines, the designs I have purchased are in HUS format for the most part. Would I have to purchase all new designs if I got the Brother machine? I literally have hundreds if not thousands of designs (it is a little addictive, wouldn’t you say! LOL) and this could definitely influence my decision to switch brands. If you didn’t save the PES files, then I would suggest Sew What Pro or some kind of software that will save as any kind of file (except ART). I see that you do not use polymesh on t-shirts and I have not used it either but am wondering if it is a good idea? I’ve just never used it!? Any tips on hooping towels? I want to monogram or appliqué my new towels but they are thick and hard to hoop! You might need to loosen the hoop up quite a bit to get it on there, then tighten and BE CAREFUL!! Be careful…of what? That it will come unhooked? Also any suggestions about thread or thread tension? Thanks so much for your answering! Yes I meant once it’s hooped, be careful taking it on and off the machine (if you are doing applique) so it doesn’t come undone. I use fill stitch on towels. No special thread or tension. I just embroired my first pattern onto a onsie. I used heat bond light as a stabalizer. After I tore away the paper it was all shiny. How do I get that off? Or do I cover it? Or should I use something else? Any help would be amazing! HNBL is not a stabilizer – you iron the shiny side on to your fabric, then peel the paper away and place the shiny side down. I would use a medium cutaway stabilizer on the onesie. What is HNBL used for? I’m trying to understand all of this stabilizing stuff… What would you recommend for terry? HNBL is a fusible product that fuses your applique fabric to your shirt permanently! Stabilizer for terry – I would use an iron on or any tearaway and water soluble or “solvy” on top! Hope you are recovering well. My question is about embroidering the pocket of a t-shirt. How would you go about hooping to monogram on the pocket of a t-shirt? I do have FF’s. Thank you for any advice. Hope you continue to recovery. Don’t over do it! Most pockets are too small to get inside, even with fast frames! I did a bunch of oxford style shirts recently and the customer said it was OK to sew the pocket shut, which makes things easier. The only other think you could do is unstitch the pocket on one side and stitch it back up. UNLESS it’s a big pocket! I’d just check w/ your customer if it’s for someone else. Most people don’t use pockets anyway. Hi Rosemary- I am trying to monogram on the pocket of an oxford- my customer does not mind sewing the pocket shut, so in that case, how do I make my pocket stable enough in the hoop? I have hooped around it, but the actual pocket is not smooth and flat. I am afraid the fabric will bunch while I embroider. Any tips or suggestions? Also, should I apply the water soluble on top too? THANKS! I usually pin the top of the pocket in place and make sure it’s flat and smooth. Water soluble on top won’t hurt! I got a machine for Christmas and just found your blog. My first try was a onesie…couldn’t figure out how to hoop it but decided connector out the neck and rotate the image was easiest. Guess I wasn’t too far off! Anyway, as Im reading your blog I had to chuckle when I read the comment about the “H” store. Or course this is where I went to get my supplies. No help whatsoever. Had to find everything myself. 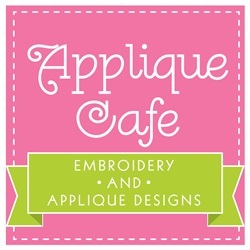 I asked about applique scissors and was directed to scrapbooking…. Thanks for your help…love your blog! I get the hooping, How do you embroid a onsie without sewing the front of the shirt to the back? I thought I had the back out of the way but slipped I guess. I used pins to try and keep it from slipping down. You have to almost turn the onesie inside out and hold it out of the way on a single needle machine! Might be a strange question. When you cut your stabilizer to stick to the inside of the shirt, does it have to be big enough to go over the exterior edges of the hoop, or can it be just big enough to cover the design and all you’re really hooping is the shirt? Well, if the stabilizer is not as big as the hoop, it won’t get IN the hoop and might fall off? I usually cut mine just big enough to go in the hoop. It also helps make the hoop secure with that extra layer. I have been reading and learning lots on your blog…thank you so much for sharing your knowledge! I started off with an embroidery machine that accommodated a hoop no larger than a 4×4 but I have 2 granddaughters; one with 7 letters in her name and one with 8 letters in her name so soon I discovered that a 4×4 hoop was not going to be large enough to embroider their names so I purchased the PE770 from Ken’s Sewing Center. Here’s my problem…a few nights ago I hooped a 6-12mo onesie on a 5×7 hoop with the hoop clamp coming thru the neck of the onesie…I used Monogram Wizard Plus and Sew What Pro to merge my applique design and lettering and wanted to do everything in one hooping. I know you advise using a 4×4 hoop for onesies smaller than 18mos but since the name was so long I really couldn’t use the 4×4 but the 5×7 hoop did kind of stretch out the little onesie and when I was finished and unhooped it, even though the applique was flat and looked great, the onesie fabric around the applique design was stretched out a little and did not lie flat and neat. I did use the medium cutaway stabilizer too. Any suggestions? Thanks for your help! Have you tried to dampen it and iron it? Sometimes getting it damp or wet helps. Thanks Rosemary…that helped some. Next time I’ll be more careful just in case I was pulling it when I hooped it. Thank you for sharing your wonderful knowledge on monograms and appliques. I have learned so much from reading your blog. I’ve just started out about a year ago with embroidery and I have a Brother PE770. On cotton items, such as shirts or oneises, do you use any type of stabilizer on top, like a water soluble stabilizer? Does it make a difference for the monogram using a water stabilizer on top vs not? Or a good rule of thumb of when to use a water soluble stabilizer on cotton items? Thanks again! I DO use water soluble on top when I’m doing monograms! I think it helps the stitches to not sink in to the fabric. It also helps the font not to gather the fabric if it’s a thick font! I don’t use it when doing applique but I do with monograms only. 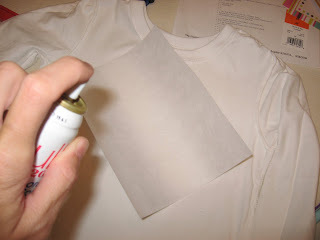 Using your method for stabilizing a tee shirt in this post …. you said you spray the temporary Sulky adhesive on a medium cut away stabilizer and apply to the wrong side of the front of the shirt. Question: Do you have to be sure the piece of stabilizer is big enough to “catch” in the sides of the hoop? Or will it just stay in place because of the spray adhesive? It should stay in place with the adhesive, but it IS temporary so I always make sure the piece of stabilizer is a little bigger so the hoop will catch it. So my stabilizer is always a little bigger than the hoop I’m using. I have only had Brother machines (4 total) so I am not familiar w/ Janome, but I am sure plenty of people use them! When I use an iron-on stabilizer, my machine skips stitches. I have tried changing needles and using different threads but it still skips. Have you encounter this issue? If so, how did you solve it? Thanks. 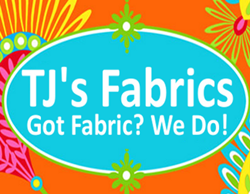 Have you tried the same designs not using iron on? I’m new to this as well, i have a customer who wants me to embroider a design under her already embroidered 31 bag. Im having a hard time with placement and don’t want it to be crooked. Any helpful tips? Thanks!!! Can you print what she wants embroidered on there to help you with placement? I have just started embroidering/monogramming. One of the onesies I did a design on which was a stitched picture turned out great but I noticed the underneath where the stitches are was some what rough. Is there a trick to fixing that? A softer thread or something. There’s a product you can buy to iron on the backside of an applique or monogram – it’s called Floriani Dreamweave or Comfort Cover! Is there a benefit to using spray adhesive with the tearaway as apposed to no spray when hooping it entirely? And would you recommend iron on stabilizers for anything or just the other method (using spray).. The tearaway I have and use the most is iron on, so you wouldn’t need spray adhesive. You could use a little if your tearaway is NOT iron on to keep it on place so you can hoop it. I mostly use iron on tearaways for towels, blankets, bibs, etc. I use a waffle weave tearaway also (not as often as iron on) and I do use a little spray adhesive.